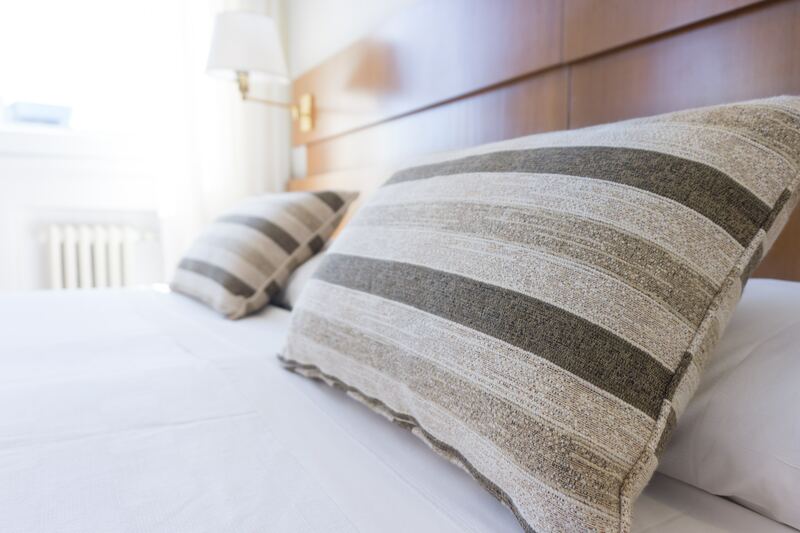 Home » Blog » Resolve to Sleep Better: Stop Snoring in 2019! Stop snoring and have a restful 2019! How many nights have you been nudged awake by your partner, or dragged yourself out of a nice dream because of the chainsaw in the background? Everyone snores sometimes. But if you’re among the 25% of Canadians who are habitual snorers, you should consider sleep testing. According to the Canadian Society of Otolaryngology, snoring keeps you from getting a good night’s sleep, which can affect your job performance and driving ability. SEvere snoring can even lead to “long-term health problems, including obstructive sleep apnea.” You can improve the quality of your life, both awake and asleep, when you stop snoring. When you sleep, your muscles (including those in your mouth and throat) relax. For some people, the mouth and throat muscles can relax too much and block their airway. As a result, the soft tissues vibrate against one another, creating the familiar grinding sound we recognize as snoring. In many of these cases, a sleeper may stop snoring on their own. Consistent snoring, though, can be a sign of sleep apnea. One in four Canadians report having the symptoms of sleep apnea, which can range from mildly inconvenient to life-threatening. There are two types of Sleep Apnea. Central Sleep Apnea (CSA) is less common, often seen in people who have had a stroke, brain tumor, or are on specific medications. Obstructive sleep apnea is much more common, and can lead to problems such as high blood pressure, diabetes, and even heart failure. Fortunately, treating sleep apnea will also help you stop snoring. *Please be aware that these symptoms do not necessarily indicate OSA. It is essential to discuss all of your concerns with your oral health professional to determine the next steps. Sleep apnea can affect anyone. However, statistics indicate that people with sleep apnea are likely to be over 50 years old, have high blood pressure, have a body mass index over 35 kg/m, and are men. Sufferers of obstructive sleep apnea are not the only people affected by this disorder. Loud snoring can have negative results on family, friends, and even coworkers. Anyone who shares a bed with a snorer knows the aggravation of poor-quality sleep. People who don’t get a good night’s sleep may be exhausted and irritable, which can influence their productivity, concentration, and mood. When you stop snoring, you can ensure a better quality of life for everyone around you. In addition with treatment from your doctor or dentist, there are lifestyle changes that can help you stop snoring. These changes can improve your sleep but also help in many aspects of your life. Quitting smoking, reducing your alcohol intake, and getting frequent exercise in particular can make a positive change in your health. What better time to start than the new year? Many different methods can treat obstructive sleep apnea or help you stop snoring. Severe cases may require the use of a nighttime breathing machine called a CPAP. In consult with certified medical professionals, a dental office can offer other options as well. At Sunnyside Dental, we discuss our patients’ concerns and symptoms and then perform an oral examination, including the jaw and airway passages. Depending on the dentist’s diagnosis, the patient may be a candidate for a customized dental appliance, such as a mandibular advancement device (MAD) or a tongue-retaining device (TRD). Each of these devices is designed to correct mild to moderate obstructive sleep apnea without surgery and without a cumbersome machine. The devices maintain the alignment of the user’s airway throughout the night to allow consistent airflow, leading to uninterrupted breathing and a restful sleep. Creating one of these specialized mouthpieces is fairly simple, and similar to that used for our Invisalign services. 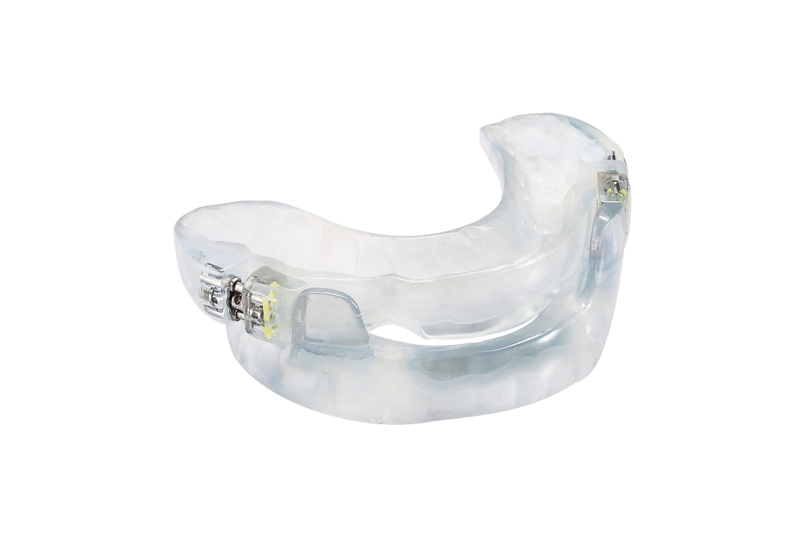 Our technicians create a mold of your teeth (either with impressions or with a digital iTero scanner), and then we build your custom lightweight mouth guard. Our patients tell us that it doesn’t take long to get used to the mouth guard, until it becomes almost unnoticeable. Professionally-designed oral appliances are one of the most common ways to treat obstructive sleep apnea or stop snoring. Our Sunnyside Dental staff are happy to work with patient to treat their snoring, help them get a good night’s sleep, and improve their quality of life. Resolve to go into 2019 well rested, and call for a consultation today.